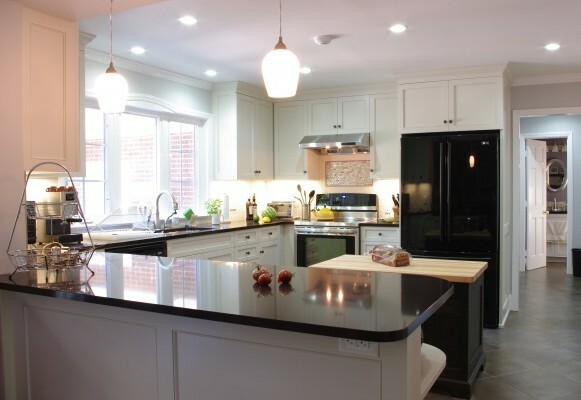 These homeowners hired Tamara to to assist with an update to their 1980’s era home, targeting the kitchen, dining room and powder room. 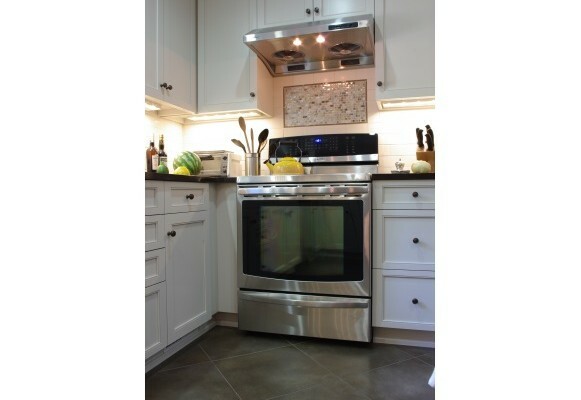 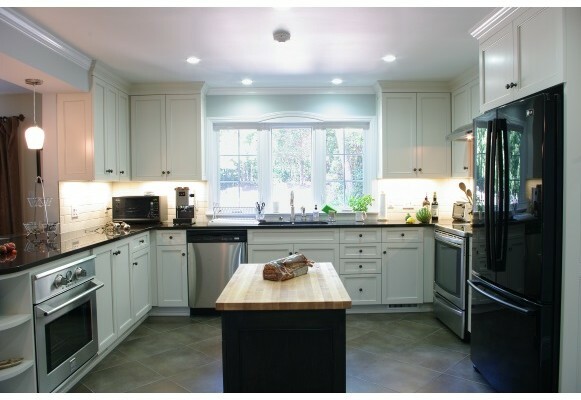 The kitchen underwent a complete overhaul, with custom designed cabinetry, new lighting, flooring and tilework. 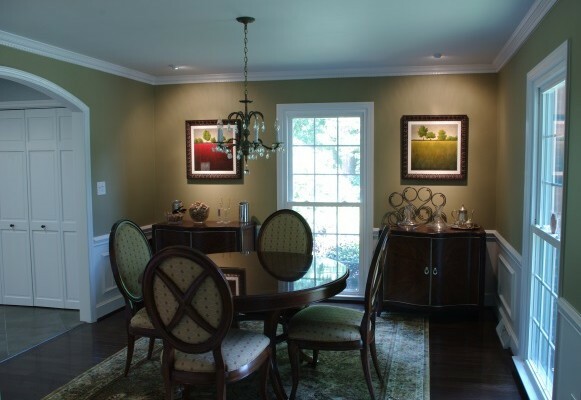 The room was opened up by removing a wall to the adjacent family room. 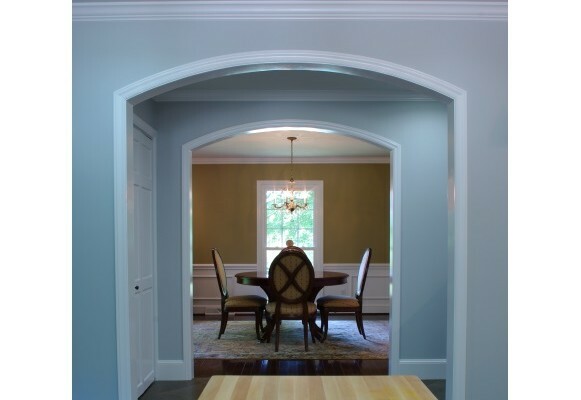 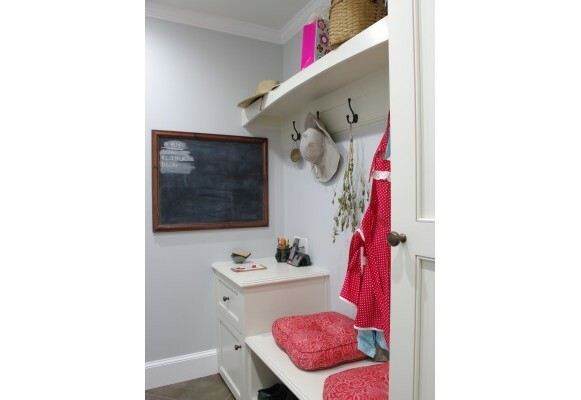 A new butler’s pantry and laundry room were added and act as a pass-through to the dining room, which was also updated with new wood flooring and paint. 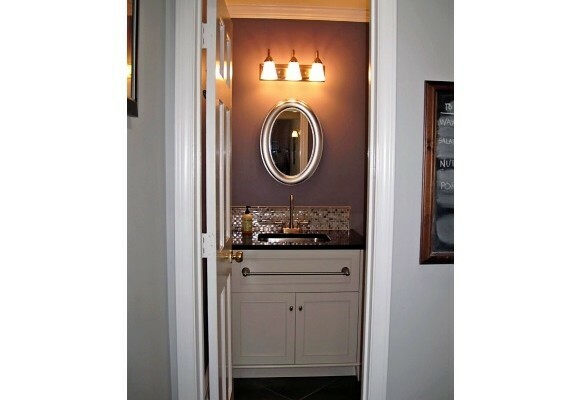 The powder room received a custom-designed vanity and new tile backsplash.